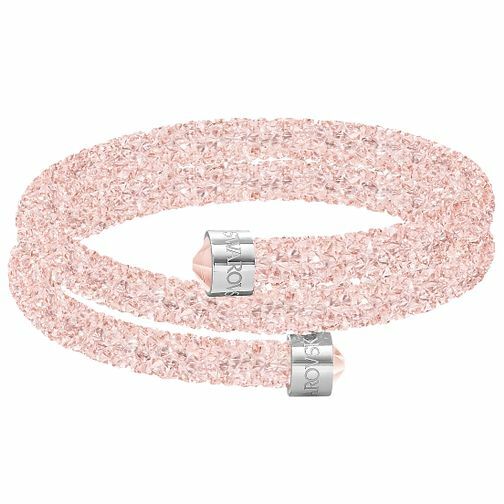 Get instant stacking style with this effortlessly chic double wrap bracelet from Swarovski's crystal dust collection. Styled with small glittering Swarovski crystals. Wear alone or stack with others for any occasion.